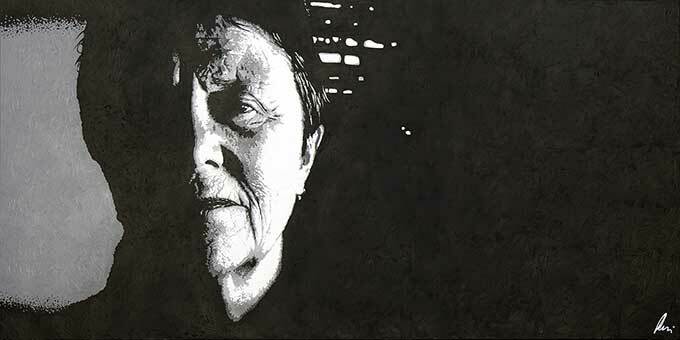 This piece explores the light and dark side of respected Australian author, Helen Garner. To me, Helen is a person of light and wisdom who bravely immerses herself in the darkest depths of human nature and behaviour. Through the process of her writing, she shines a light into the blackness to reveal the many shades of grey at play. I have chosen to paint this piece using only grey, black and white to convey this idea.